Gucci men's black PVD strap watch featuring round digital dial, red and green trim detail and GG signature design on strap. 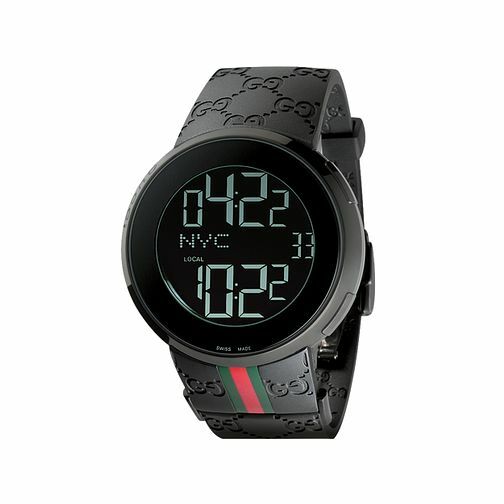 Gucci I-Gucci Black PVD Digital Watch is rated 4.0 out of 5 by 2. Rated 4 out of 5 by Anonymous from What you are buying is not the quartz movement made in Switzerland but a timepiece that is designed by a one of a kind master. Do some research and you will find a design to die for.